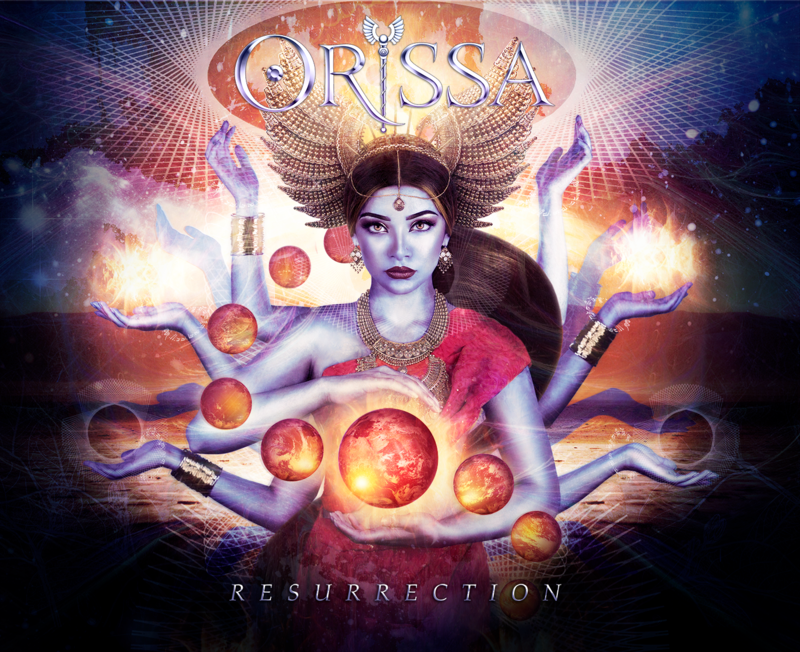 The progressive metal outfit Orissa is really the brain child of David Dodini who plays all of the instruments (except drums) on Resurrection, proving to be a master of all of them. The progressive metallic sound will appeal to fans of Dream Theater and as added point of reference, drummer Jason Gianni's day job is in the Trans-Siberian Orchestra. After a brief offering the riffs and scales start flying and climbing on Resurrection as "Tara" progresses for over seven minutes before driving into the heavier title track that digs up the darkness complete with mid song eerie breakdown. The cinematic flair continues with "Shades Of Grey" focusing on Dodini's vocals to start, before highlighting the percussion in the middle then ending on a metallic note; it is a good summation track of Dodini's style of writing and performing. "Dissolution" isn't as successful and drags before the mid song change but still looses steam before its extended run time finishes and an odd wind/storm track "Primordial" acts as a sonic pause to things. The eastern flavored "Verse V" works much better with its snaking guitar lines and heavy handed/stomping drum work, combined with the Broadway ready emotional vocals it ends up the strongest tack here. Closing with the jazzy drum beats and frantic fretwork "Blue Communion" finishes up the album solidly. The multilayered, long tracks and overly dramatic flair of Resurrection (and Dodini's style in general) will not be for everyone, but fans of progressive rock will certainly soar along with the sound eagerly.